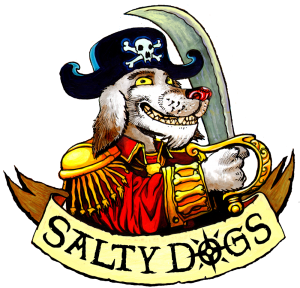 The Salty Dogs – Never trust a pirate! Does ye love the open seas? Are ye tougher than me old welly boot sandwiches? Well say no more ye scurvy land lubbers! Fun for all the family! Put down your Cackle Fruit and let the games begin! Mutty is the ships Navigator. He uses his vast knowledge of the stars to plot the ships course. Once a leading scientist, until one night coming home from the pub, he was abducted by aliens, “that’s what he says”. Laughed out of town by his peers, he wants to prove his story, each night he searches the sky’s for signs of UFO’s and little green creatures. Being at sea at night, with clear skies, is the perfect environment for gazing into the stars, waiting for the aliens to return. 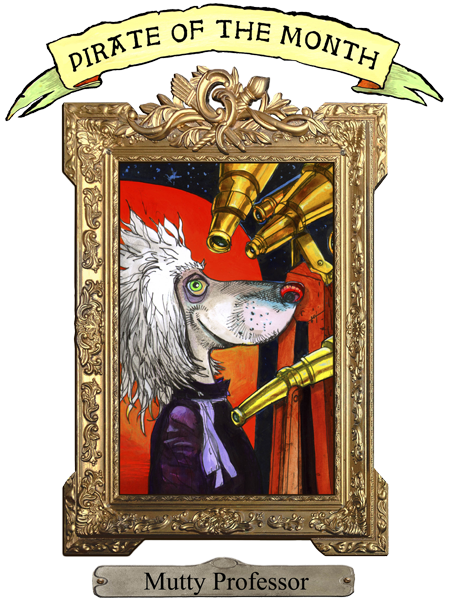 During daylight hours he uses his many telescopes to search for rich merchant ships that the Salty Dogs can loot. Very inteligent but also a little nutty. Want to get updated on the latest developments? Don't want to miss Kickstarter Launch day? Ribbon button label:Sign up to the newsletter!Sign up to the newsletter!